"I'm pretty sure Data is anxiously awaiting this development too. " 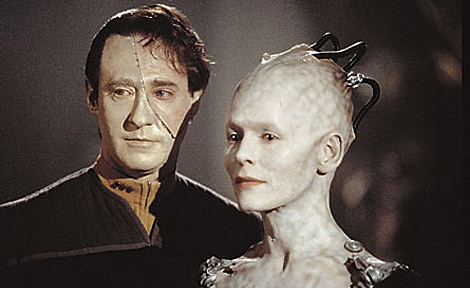 "I need to find that picture of Data with human skin grafts, courtesy of the Borg queen." "Here's the picture I was thinking of... If robots can't have human skin grafts, or if it's not possible to hook up the sensory inputs, then some sort of 'electronic skin' will have to do.